The company criticized Google’s move, claiming that the disclosure of the vulnerability, which was being exploited in the wild, put its customers "at potential risk." 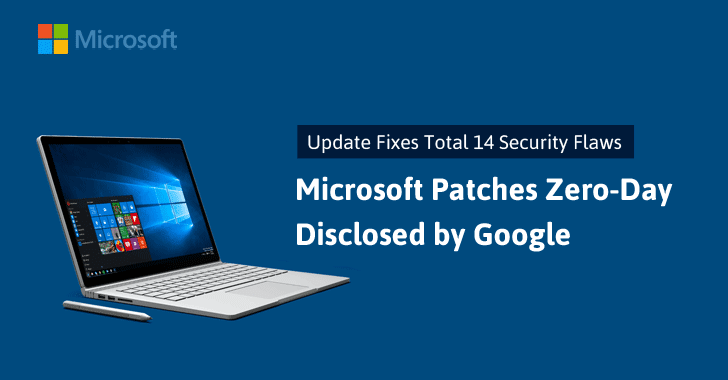 The vulnerability affects all Windows versions from Windows Vista through current versions of Windows 10, and Microsoft was set to issue a fix come this month’s Patch Tuesday. According to Microsoft’s security bulletin released today, any hacker who tricked victims into running a "specially-crafted application" could successfully exploit the system bug and gain the ability to "install programs; view, change, or delete data; or create new accounts with full user rights." So, I strongly recommend home users and companies to ensure that their Windows PC is up-to-date with all of Microsoft’s latest security fixes as of today.